Main Street Businesses Broker Contact Me! (813) 400-3030 Business for sale tampa bay. TRANSWORLD BUSINESS BROKERS OF CENTRAL FLORIDA LLC Tampa Bay St Petersburg. I have been in Business Brokerage and Franchise sales with various firms since 1995. I am the Past President of the Tampa Bay and Southwest Florida Chapters of the Business Brokers of Florida BBF and also have served on the BBF State Board of Directors. The BBF is the largest state business brokerage association in the country and the second largest association of business brokers in the world. 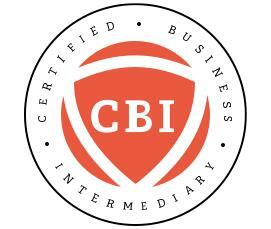 I am also a Member of the International Business Brokers Association and have earned the Certified Business Intermediary Designation thru the International Business Brokers Association. I Specialize in Family Operated Mom and Pop Businesses, Franchise Sales for Start up, Conversion and Franchise Re-Sales and Service the entire Tampa Bay Area including Brandon, St Petersburg, Clearwater, Palm Harbor, New Port Richey, Hudson, Wesley Chapel and Lakeland. I have successfully completed hundreds of transactions since 1995. Specialist in Synergistic Mergers & Acquisitions and Main Street Business Brokerage. TRANSWORLD BUSINESS BROKERS OF CENTRAL FLORIDA LLC Tampa Bay St Petersburg.